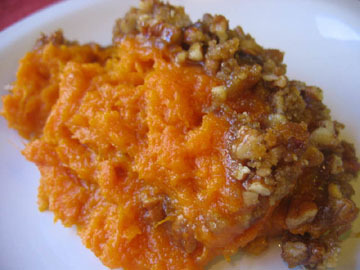 I confess that I’ve never had sweet potato casserole, although a version of it is usually served at the Thanksgiving dinner table with my family-in-laws. I do, however, always forget that I like sweet potatoes sliced and roasted in the oven. I haven’t had that for years! Thanks, Janell, for the reminder of how good these sweeties can be!